This article is about music as a form of art. For history see articles for History of music and Music history. Music is an art form whose medium is sound. Its common elements are pitch (which governs melody and harmony), rhythm (and its associated concepts tempo, meter, and articulation), dynamics, and the sonic qualities of timbre and texture. 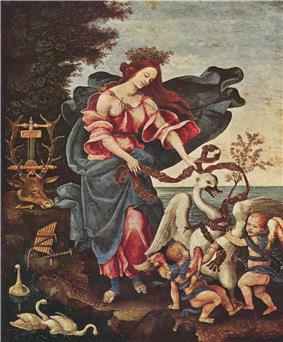 The word derives from Greek μουσική (mousike; "art of the Muses"). The creation, aleatoric forms. Music can be divided into genres and subgenres, although the dividing lines and relationships between music genres are often subtle, sometimes open to personal interpretation, and occasionally controversial. Within the arts, music may be classified as a performing art, a fine art, and auditory art. 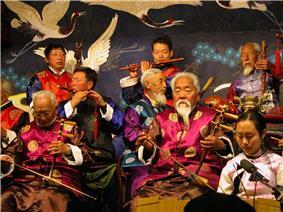 It may also be divided among art music and folk music. There is also a strong connection between music and mathematics. Music may be played and heard live, may be part of a dramatic work or film, or may be recorded. Music is composed and performed for many purposes, ranging from aesthetic pleasure, religious or ceremonial purposes, or as an broadcasting or film production companies, and music schools. Professional musicians sometimes work as freelancers, seeking contracts and engagements in a variety of settings. Sheet music is written representation of music. This is a homorhythmic (i.e., hymn-style) arrangement of a traditional piece entitled "Adeste Fideles", in standard two-staff format for mixed voices. Musical improvisation is the creation of spontaneous music. Improvisation is often considered an act of instantaneous composition by performers, where compositional techniques are employed with or without preparation. Improvisation is a major part of some types of music, such as blues, jazz, and jazz fusion, in which instrumental performers improvise solos and melody lines. In the Western art music tradition, improvisation was an important skill during the Baroque era and during the Classical era; solo performers and singers improvised virtuoso cadenzas during concerts. 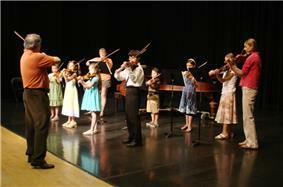 However, in the 20th and 21st century, improvisation played a smaller role in Western Art music. In Indian classical music, spontaneous improvisation is a core component and an essential criteria of any performance. talas.Silappadhikaram by Ilango Adigal gives so much information about how new scale can be formed by modal shift of tonic from existing scale. Hindustani music was influenced by the Persian performance practices of the Afghan Mughals. Carnatic music popular in the southern states, is largely devotional; the majority of the songs are addressed to the Hindu deities. There are a lot of songs emphasising love and other social issues. In 1800, the music developed by melody as the most significant compositional unit. Later Romantic composers such as Pyotr Ilyich Tchaikovsky, Antonín Dvořák, and Gustav Mahler used more elaborated chords and more dissonance to create dramatic tension. 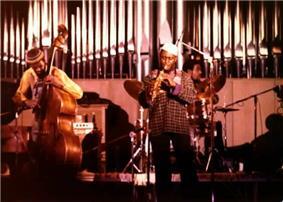 They generated complex and often much longer musical works. During Romantic period tonality was at its peak. The late 19th century saw a dramatic expansion in the size of the orchestra, and in the role of concerts as part of urban society. It also saw a new diversity in theatre music, including operetta, and musical comedy and other forms of musical theatre. 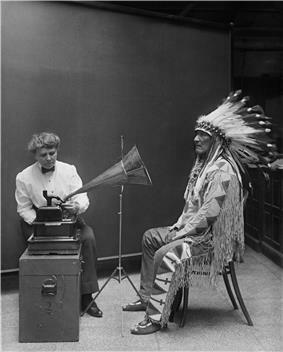 With 20th-century music, there was a vast increase in music listening as the radio gained popularity and phonographs were used to replay and distribute music. 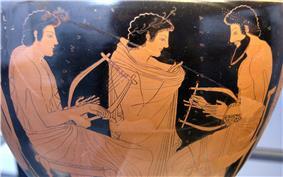 The focus of art music was characterized by exploration of new rhythms, styles, and sounds. Igor Stravinsky, Arnold Schoenberg, and John Cage were all influential composers in 20th-century art music. The invention of sound recording and the ability to edit music gave rise to new sub-genre of classical music, including the acousmatic  and Musique concrète schools of electronic composition. Rock music is a genre of piano, or, since the 1970s, analog synthesizers and digital ones and computers since the 1990s. Along with the guitar or keyboards, saxophone and blues-style harmonica are used as soloing instruments. In its "purest form," it "has three chords, a strong, insistent back beat, and a catchy melody." In the late 1960s and early 1970s, it branched out into different subgenres, ranging from blues rock and jazz-rock fusion to heavy metal and punk rock, as well as the more classical influenced genre of progressive rock and several types of experimental rock genres. Many cultures include strong traditions of music festivals or music competitions. Chamber music, which is music for a small ensemble with only a few of each type of instrument, is often seen as more intimate than symphonic works. In a score or on a performer's music part, this sign indicates that the musician should perform a trill—a rapid alternation between two notes. Harwood, Dane (1976). "Universals in Music: A Perspective from Cognitive Psychology". 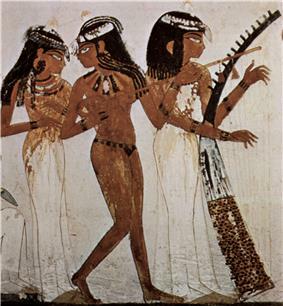 Ethnomusicology 20 (3): 521–33. ^ Kozinn, Allen (13 August 1992). "John Cage, 79, a Minimalist Enchanted With Sound, Dies". ^ Hickmann, Hans (1957). "Un Zikr Dans le Mastaba de Debhen, Guîzah (IVème Dynastie)". Journal of the International Folk Music Council 9: 59–62. ^ Rajagopal, Geetha (2009). Music rituals in the temples of South India, Volume 1. D. K. Printworld. pp. 111–112. ^ Tan, Siu-Lan; Pfordresher, Peter; Harré, Rom (2010). Psychology of Music: From Sound to Significance. New York: Psychology Press. p. 2. ^ Laske, Otto (1999). Navigating New Musical Horizons (Contributions to the Study of Music and Dance). Westport: Greenwood Press. ^ Nils L. Wallin, Björn Merker, and Steven Brown (Editors) (2000). The Origins of Music. Cambridge, MA: MIT Press. ^ Hagen, Edward H; Hammerstein P (2009). "Did Neanderthals and other early humans sing? Seeking the biological roots of music in the loud calls of primates, lions, hyenas, and wolves". Musicae Scientiae. ^ Carroll, Joseph (1998). "Steven Pinker’s Cheesecake For The Mind". Cogweb.ucla.edu. Retrieved December 29, 2012. ^ Soley, G.; Hannon, E. E. (2010). "Infants prefer the musical meter of their own culture: A cross-cultural comparison". Developmenal Psychology 46: 286–292. ^ Balkwill, L.; Thompson, W. F.; Matsunaga, R. (2004). "Recognition of emotion in Japanese, Western, and Hindustani music by Japanese listeners". Japanese Psychological Research 46: 337–349. ^ Demorest, S. M.; Morrison, S. J.; Beken, M. N.; Jungbluth, D. (2008). "Lost in translation: An enculturation effect in music memory performance". Music Perception 25 (3): 213–223. ^ Groussard, M.; Rauchs, G.; Landeau, B.; Viader, F.; Desgranges, B.; Eustache, F.; Platel, H. (2010). "The neural substrates of musical memory revealed by fMRI and two semantic tasks". 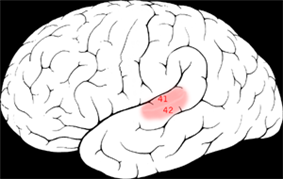 NeuroImage 53: 1301–1309. ^ Crawford, Mike J.; Talwar, Nakul, et al. (November 2006). "Music therapy for in-patients with schizophrenia: Exploratory randomised controlled trial". The British Journal of Psychiatry (2006) 189 (5): 405–409. One of the earliest mentions of music therapy was in Al-Farabi's (c. 872 – 950) treatise Meanings of the Intellect, which described the therapeutic effects of music on the soul. Music has long been used to help people deal with their emotions. 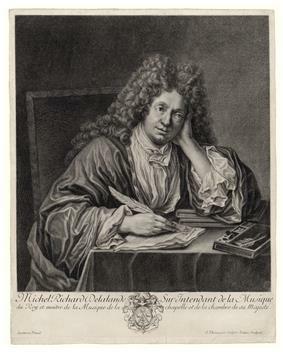 In the 17th century, the scholar Robert Burton's The Anatomy of Melancholy argued that music and dance were critical in treating mental illness, especially melancholia. He noted that music has an "excellent power ...to expel many other diseases" and he called it "a sovereign remedy against despair and melancholy." 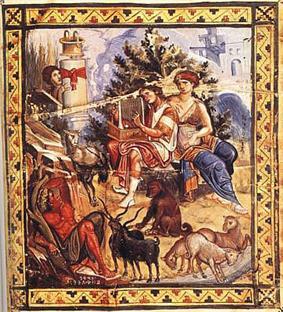 He pointed out that in Antiquity, Canus, a Rhodian fiddler, used music to "make a melancholy man merry, ...a lover more enamoured, a religious man more devout." In November 2006, Dr. Michael J. Crawford and his colleagues also found that music therapy helped schizophrenic patients. In the Ottoman Empire, mental illnesses were treated with music. As world cultures have come into Leonard Bernstein's West Side Story are claimed by both opera and the Broadway musical tradition. Many current music festivals celebrate a particular musical genre.